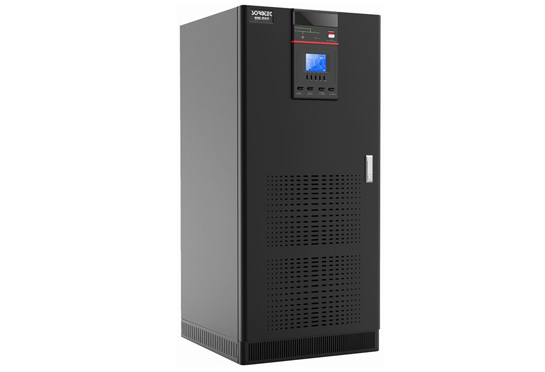 3Ph in/3Ph out Online UPS with high power factor 0.9, use AC-DC-AC converter,support 6 units ups parallel operation,EPO/RS232/Bypass available. 6pulse or 12 pulse optional. 1.Use advanced 6th generation DSP and full digital control technologies to realize higher system stability. 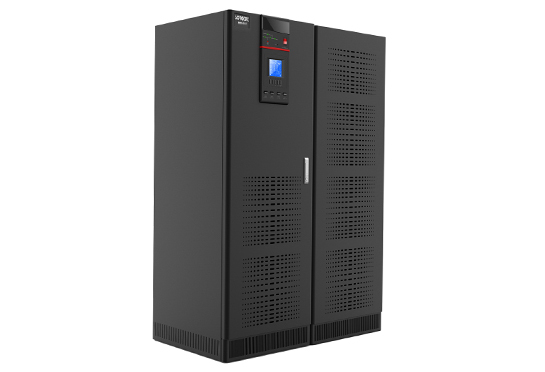 2.Output power factor is 0.9, carrying capacity than conventional UPS with 10% above, as users reduce investment cost. 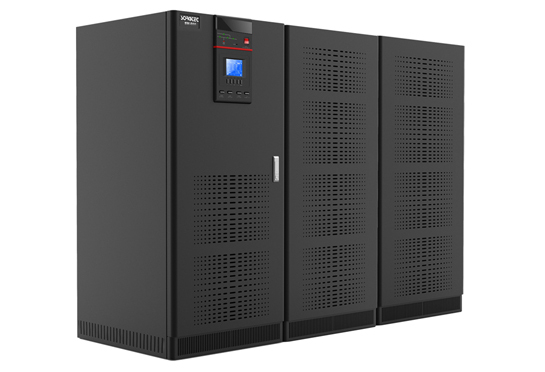 3.Advanced distributed active parallel technology can realize parallel operation of 6PCS UPS units without the need of centralized bypass cabinet. 4.6-inch extra large LCD that can display 12 language (Chinese ,English,Russian,Spanish,French and so on). 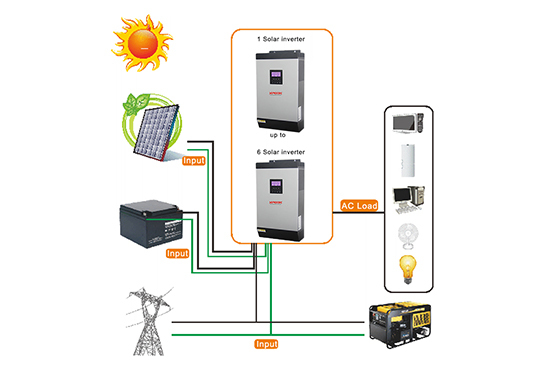 5.Extra wide input voltage and frequency range make it adapt to severe power grid environment. 6.Intelligent battery management maintains battery automatically to prolong the battery life. 7.Standard input/output filter improves the system EMC performance. 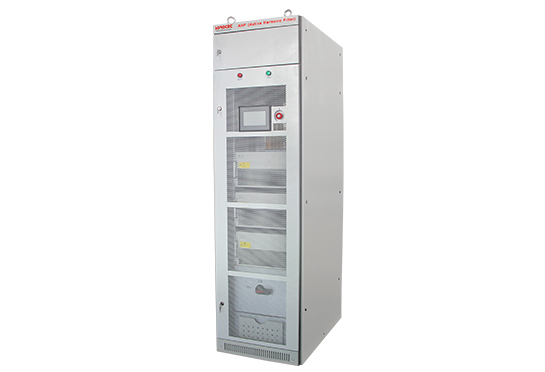 8.Extra strong capability to withstand output overload and short circuit, ensuring the system stability and system safety under extreme conditions. 9.Layered independently-sealed ventilation channel and re-dundant fan, circuit boards with protective paints and a dust filter embedded make it highly efficient to dissipate heat and protect the product effectively under severe environment.